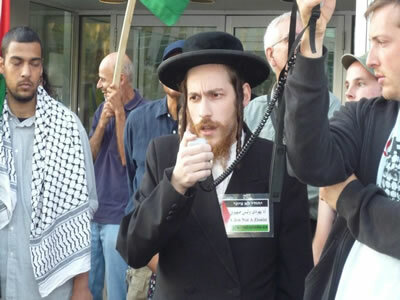 Anti-Zionist Orthodox Jews in the Toronto, Ontario, Canada joined a demonstration to protest the newly conceived Zionist campaign to improve the image of the Zionist state by "branding" apartheid against the indigenous Palestinian people. The 'Israeli' Ministry of Foreign Affairs has selected Toronto as a 'testmarket' for a million dollar re-branding campaign. 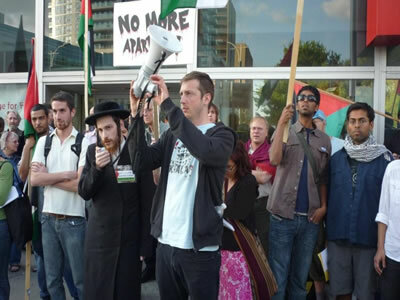 The 10-month 'Brand Israel 'campaign was launched Monday, August 25th at the Miles Nadal JewishCommunity Center in downtown Toronto . 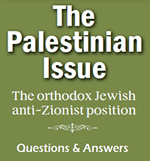 The campaign seeks to "fix negative images of Israel by "taking the emphasis off the politics and strife."